Happy December! The Christmas season starts pretty early for me because I like to get a jump start on cheesy Hallmark movies and hot chocolate, but now it's finally official and I can celebrate without getting the side-eye from anyone (i.e. my husband). 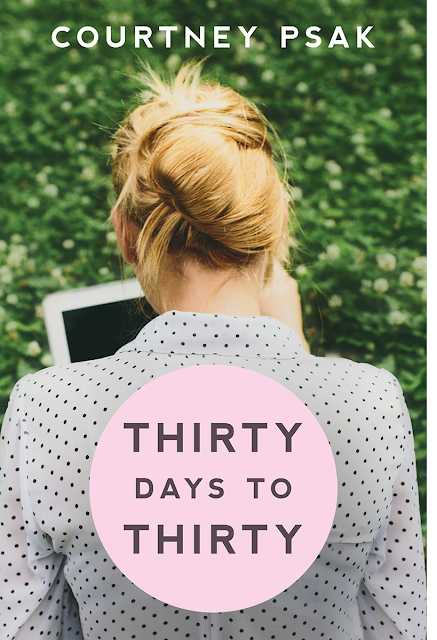 Today, I'm reviewing Courtney Psak's debut novel Thirty Days to Thirty and I'm excited to share it with you! So let's jump right in and get started. What if you were on the cusp of marrying the guy of your dreams and reaching that career goal you set for yourself, only to have it all taken away in one fell swoop? 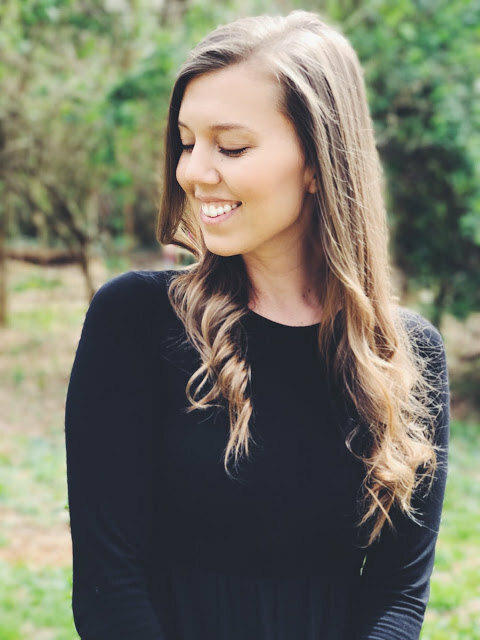 This is the story of Jill Stevens, who, after moving back home, finds a list she made in high school of thirty things she wanted to accomplish before her thirtieth birthday. With a month left and hardly anything crossed off her list, she teams up with old friends to accomplish as much as she can before the big 3-0. Along the way, she discovers her true self and realizes it’s not about the material successes in life but the journey. This novel reminds me of one, and I mean that in the best possible way. (Hey! I love those movies, alright?) Thirty Days to Thirty was sweet and fairly predictable, but - like I do whenever another Candace Cameron Bure film comes on television - I stuck around to find out what happened. I still wanted to turn the page even though I was pretty sure I knew what was coming. I really, really liked Jill and Chris and I rooted for them despite their somewhat unrealistic interactions with one another. And while this book is not even remotely a Christmas novel, it does share some of the same nostalgic elements that I think fans of holiday stories will enjoy. On the flip side of that, though, is the fact that Jill is trying to accomplish quite a lot in a super limited amount of time. I understand that Courtney was working with her title, but it did make the book - and the relationships - feel rushed at times. I also struggled to ignore repeated grammatical issues because the truth is they simply shouldn't be there once a book is available for sale. In spite of those negatives, I think Thirty Days to Thirty is a fun romantic read that allows saps like me to get lost for a few days in a romance that's almost certain to succeed. It's also laugh-out-loud funny at times, and I giggled a lot while reading on the way to Thanksgiving lunch with my family. Plus, Jill is the Every Woman. She loses what she believes is most important to her and, in the process, discovers what is actually most important. We all want that kind of story. We all want the chance to get it right even if we didn't the first time. And that's what Thirty Days to Thirty offers. Please note, I received a copy of this book in exchange for an honest review. 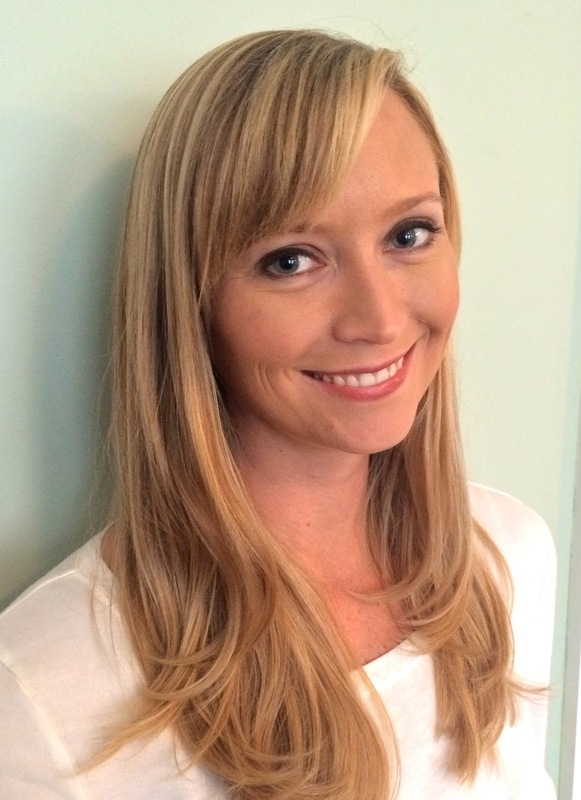 To learn more about Courtney, please visit her website or follow her on Twitter and Instagram @CourtneyPsak! You can also visit her blog here or say hello on Facebook! To purchase your own copy of Thirty Days to Thirty, be sure to stop by Amazon or Barnes & Noble.